The Romans Road- What does the Bible say about how to spend eternity in heaven, with Jesus? It’s that time of year again for the Chastain family. No, I am not talking about summertime beach trips or vacation get away. But as summer starts slipping away, and school starts to look not so far away, Dianna and I take our own special trip to the Joe DiMaggio Cleft and Craniofacial team in Hollywood, Fl. Unfortunately, Daddy had to work this time, so its just me and my big girl. 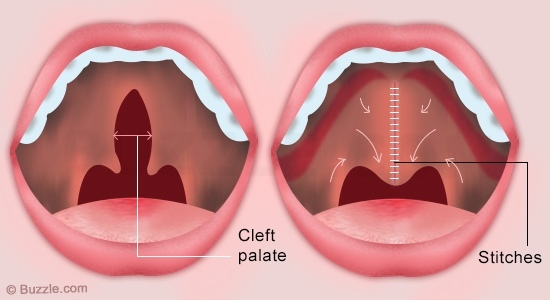 For those of you that don’t know, Dianna was born with a cleft palate. Only Dianna’s soft palate was affected, not her lip. So it isn’t visible unless you peek in her mouth. But I digress. It is something we hardly think about. Except once a year for a check up of sorts. And suddenly, as we walk through the hallway from specialist, to surgeon to doctor, I am transported through time. “Say ‘ PEO-PLE’ ” the therapist asked while pinching Dianna’s little nose. My toddler stared at her silently. “Say ‘ PEO-PLE’ ” the therapist requested again to no avail. The reason for the request is simple. “P” sounds can be hard for kids with a cleft palate, but regardless, Dianna was in no mood for this test. So after a few more tries we gave up and my sister took her for a bathroom break. 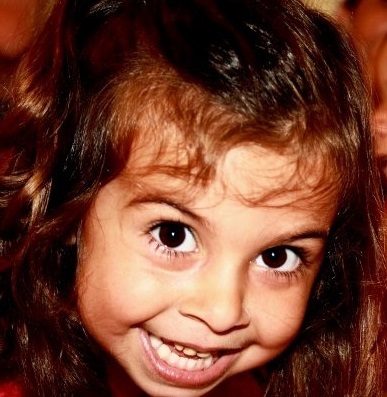 It was there,in the solitude of the bathroom, that sweet little girl pinched her own nose, looked up at her aunt with those big brown eyes and blurted out “PEO-PLE” with a little grin. Now that she is bigger, there are more words to say, but thankfully, she is more willing to say them, albeit not perfectly. There is a bit of nasal air emission possibly requiring speech therapy, hopefully not more surgery, to strengthen those stitched together muscles on her palate that you and I take for granted. Next we meet with the 69 year old pediatrician from Trinidad. This is my favorite stop. He was a young 62 when we first met and now he is training his replacement. We talk retirement, health care reform, and homeschooling, and he beams about how great Dianna is doing. But suddenly when he mentions his hospital visits I am no longer in his office. I am passing him in the hallway at the hospital right after Dianna’s first surgery, with a tear stained face and a pit in my stomach wondering how I was going to care for a 6 month old in recovery and a toddler at home. The flashback ended as abruptly as it started, and just like that I was drawn back to his office hugging him goodbye and wishing him a happy and family filled retirement as he makes plans for more volunteer work with cleft teams oversees. During this busy morning there is a lot of waiting between doctors. While in the waiting room, I overheard the coordinator extraordinaire and beautiful grandmother of seven Bobby Brasher talking with a new mom about some of the realities for her six week old baby who had the same exact condition as Dianna. “The doctor said the surgery is minor, maybe about 15 minutes,” the young mom said to Bobby, and with that I was back in the hospital , but this time I was in the recovery room. The surgery was quick, that was true, but nothing could have prepared me for the recovery. They led us to her bed, her little body, tubes still attached for pain medicine, face puffy, traces of iodine and blood still around her mouth that whimpered like an injured kitten. “Can I hold her?” I begged. I was sure that once she was in my arms those heart breaking moans coming out of her mouth would stop. But they didn’t. My sweet husband looked on with tear filled eyes and prayed. I rocked her and sang, but nothing would ease her sad and painful little cry until the nurse administered more morphine upon my request. “I used to have a special bottle too” I heard my big girl say to the mom in the waiting room, as she rescued me from my memory, her confident and caring smile giving me strength. “Just our annual check up,” I told a friend this morning, but didn’t I know better? Every year, every different doctor, every test can take me to a hundred different places in time. But there is one thing in common with every moment to which I travel. When I remember pain, I remember our Comforter. When I remember exhaustion, I remember our Helper. When I remember loss, I remember our Provider. On Dianna’s first birthday I wrote a song that has proved more true as the days go by. All of these things,all I will treasure. Through all the joy and pain. I won’t forget one day. This is not my first post. Ok, technically this is my first blog post. But I have been blogging to a few friends and my husband for some time now. You see, I have a lot of passions. I have a lot of opinions. But I do not like confrontation. Most don’t. I am most. And whenever I find myself in the middle of one of those situations, my stomach turns non stop until its over. Fully over. I never liked roller coasters. I can’t even go on a swing without my stomach doing a little dance. (I know, that is so embarrassing.) My first roller coaster and every one after that I just get so nervous on the way up those stupidly slow ascents to the big drop. I promise myself I will not go on anymore. Why do I do this to myself? It’s so awful. This is the last time. Some people love roller coasters. They scream all the way down. I envy those people. I couldn’t scream. Ever. I don’t know the science behind it. All I know is that no noise comes out of my mouth. None. But for the sake of camaraderie, or some other noble cause, I keep doing it. And I could really do without it. Did you know Newton felt the same way? Not about roller coasters, but about confrontation. You see every time he put out a new postulate or came up with a corollary, someone challenged him. And it got personal. And he hated it. He summed it up like this “….for I see a man must either resolve to put out nothing new, or to become a slave to defend it.” He finally vowed never to publish anything on science again, and it is said that this detrimentally slowed down progress in England for almost a hundred years! Ok, let’s be clear. I know that I am not Newton, and my decision to blog or not to blog will not alter the course of an entire country. But I can point to so many times in my life when my path was altered by a new perspective someone was bold enough to share with me. And I am grateful, eternally grateful to those that stood at the crossroad of uncomfortable and easy and decided to speak truth into my life. I can also think of decisions I made when people that knew better stood next to me said nothing. So I am going to say something. I pray with all that is in me that I will not say anything that would not line up with the Word of God or with who He has called me to be as His disciple, a wife, mommy, daughter, and sister and friend. That is my only prayer. Warning. I will make grammatical errors.